Leaving your pets behind is one of the toughest parts about going on vacation. Luckily, RVers can bring their pets along for the ride! RVing with dogs requires a little bit of planning. Here are a few tips to ensure your pups have a great time on the road. Our biggest advice about RVing with dogs is to train your dog and make sure they respect you as the alpha. While we aren’t perfect (and our dogs aren’t either), knowing our dogs will listen is key. 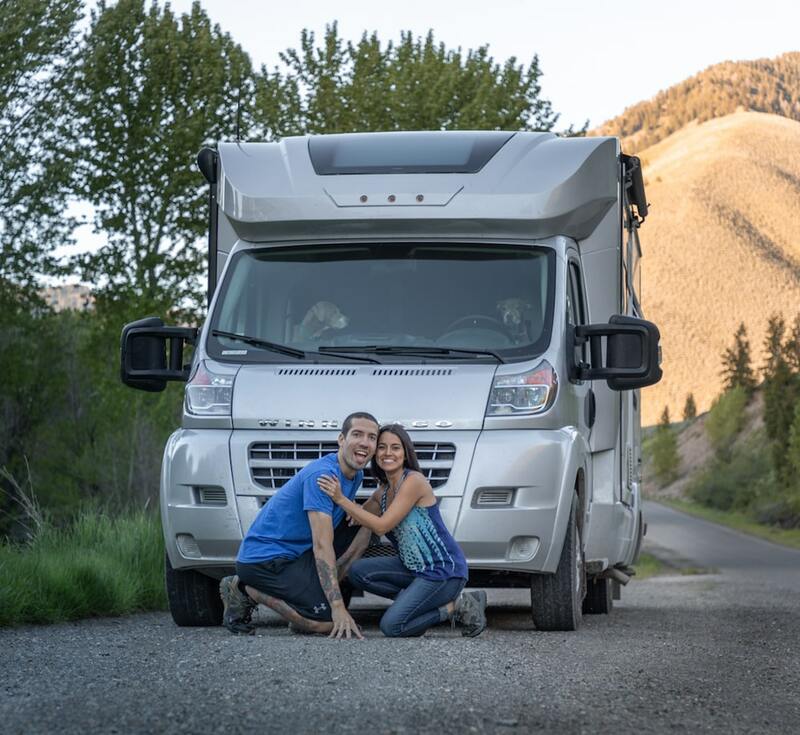 While boondocking, we feel comfortable letting Luna and Foxey run free to experience the countryside the way a dog should. We also always have treats on-hand. Our pups are constantly put into situations “suburban” dogs may not get exposed to. If something strange happens, we have treats ready to get their attention. For example, our neighbors were being really rowdy one afternoon, and Luna was woken up from her nap to loud shouts and music. We were ready with a couple treats, and she didn’t bark or get worked up. Finally, know your surroundings. We try our best to know the flora and fauna where we’re staying, and can keep the dogs out of harm’s way. Follow Luna and Foxey (plus Mandy and Kevin) at 188sqft on Instagram. We love RVing with our pup, but it definitely takes some planning! 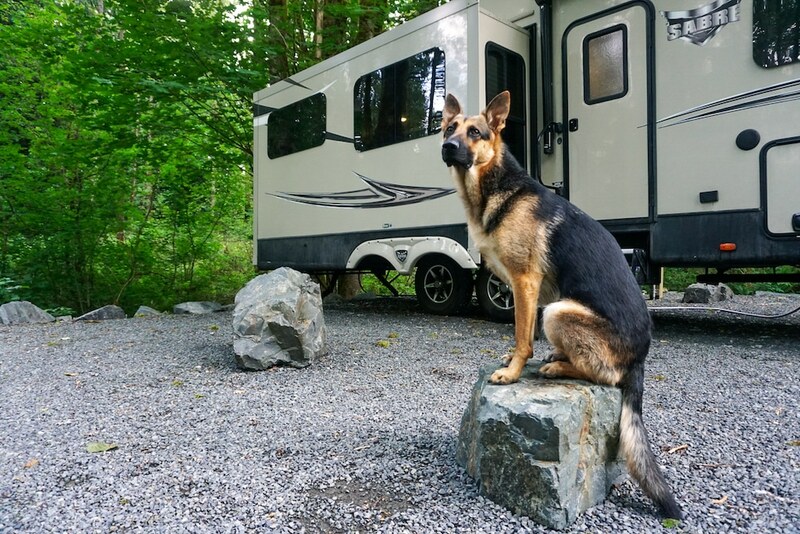 One of our best pieces of advice for anyone RVing with dogs—especially a large dog or one with a high drive (we have a German Shepherd)—is to make sure they get enough exercise. It can be hard to fit in on long drive days or in small campgrounds, but we always make it a priority to run him. 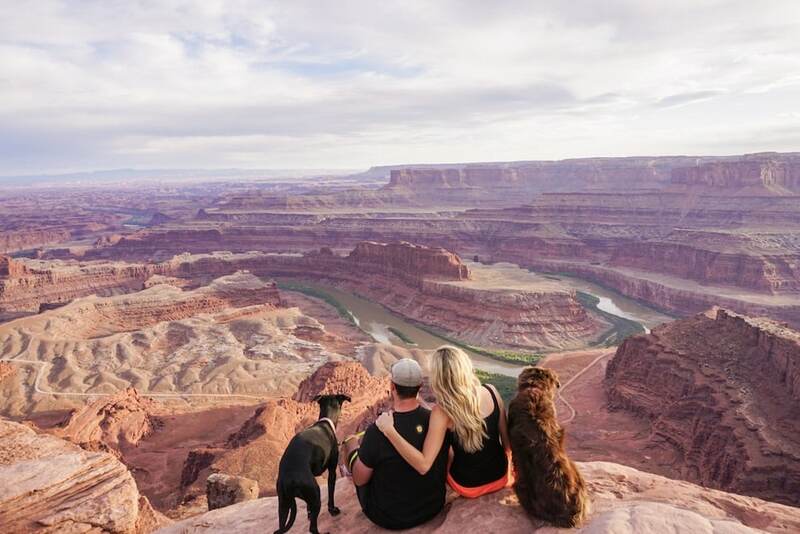 We always find dog parks near where we camp, and we’ve found some of the most amazing spots all over the country. It’s been a great way to meet people in new areas! Never once has he gotten crazy living in a small space, and we really think it’s because he gets to spend so much time outdoors. On the few occasions that we’ve had a night or two away from the RV, we’ve used Rover to find local dog sitters. It’s been a great way to know Russ is taken care of and having a great time. Follow Russ at @russtheruffian, and Pete and Jordan at @peteandjordan—both on Instagram. Keep your pup’s safety in mind! Pack a doggie first aid kid and make sure you are up to date on immunizations. Often, campgrounds will ask for proof of current immunizations—I ask our vet for an extra copy to keep in the RV. Make sure your pets are microchipped, just in case of any escape. I also recommend a dog pen for smaller dogs, so they don’t have to be on-leash all the time, and a headlamp for evening walks in the dark. Most of all, have fun! RVing with dogs is a fantastic way to travel. I love sharing adventures with the pups—hiking, swimming, even tubing or kayaking if your dogs love the water! Follow along with Jen, Daphne, and Willow at @daphne.and.willow.corgis on Instagram. Dogs make great travel companions and they love adventuring as much as we do! Most of the U.S. (outside of National Parks) is very dog-friendly. Regardless of where you are, the most important thing is to be a responsible dog owner. We always clean up after them, keep them under control and quiet, and respect the rules. Any time we have to leave them alone in the RV, we take certain safety precautions. 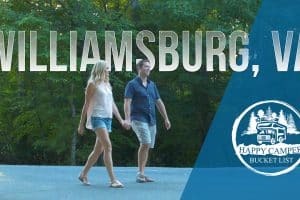 We keep the RV at a safe and comfortable temperature and leave a “Dogs on Board” sign on our door with our phone numbers. We also hide a key to the RV somewhere in case something happens to us while we’re out. You can even purchase dog monitors with cameras to keep an eye on them while you’re away. As long as you keep your dog comfortable, well-exercised, and safe, they’ll love life on the road! Follow Pepper and Kyla, along with Dan and Lindsay, at @follow_your_detour on Instagram. Give your dogs a chance to acclimate to your rig before you set out on an RV trip. It can be a very big change for them whether it’s for a weekend or an extended period of time. Help them find their “spot” in the rig, and remember that many RV noises can scare them at first—especially the generator, water pump, furnace, and toilet. 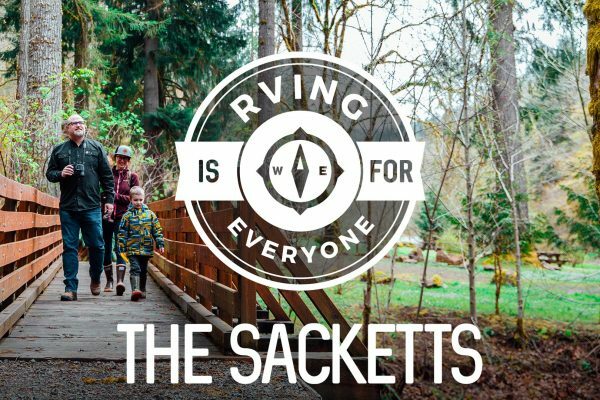 Leave the Flexi-Leash at home—most campgrounds and trails require a standard 6-foot fixed leash. The biggest issue you’ll likely face while RVing with dogs is temperature control inside your rig. The easiest way to deal with this is to stay at campgrounds with an electric hookup, to keep the RV running. If you’re boondocking, try to plan your “no dogs allowed” activities in the evening. Take into account that beautiful 70s and 80s weather will actually be too hot if the RV isn’t in the shade. 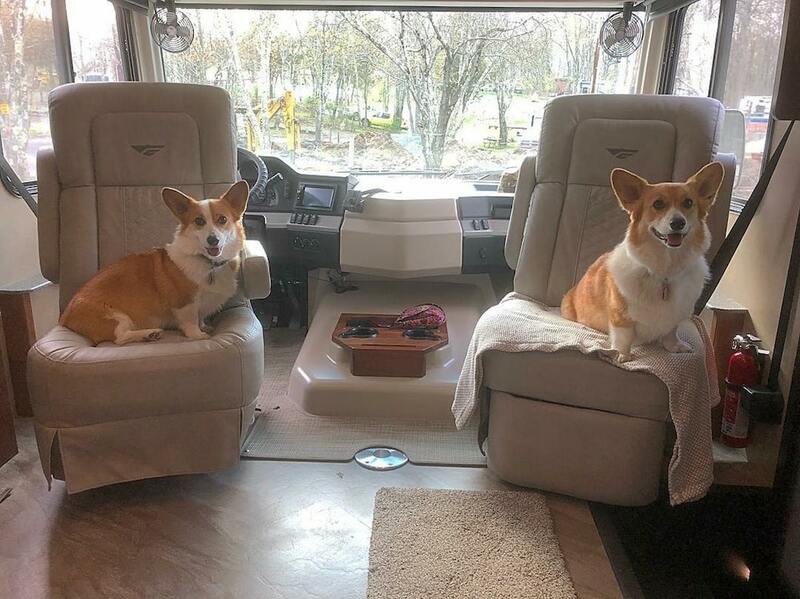 Have fun RVing with your dogs—it really is a great way to travel with them! Follow Remy, Sienna, Jon, and Nadia at @RoamingRemodelers on Instagram. 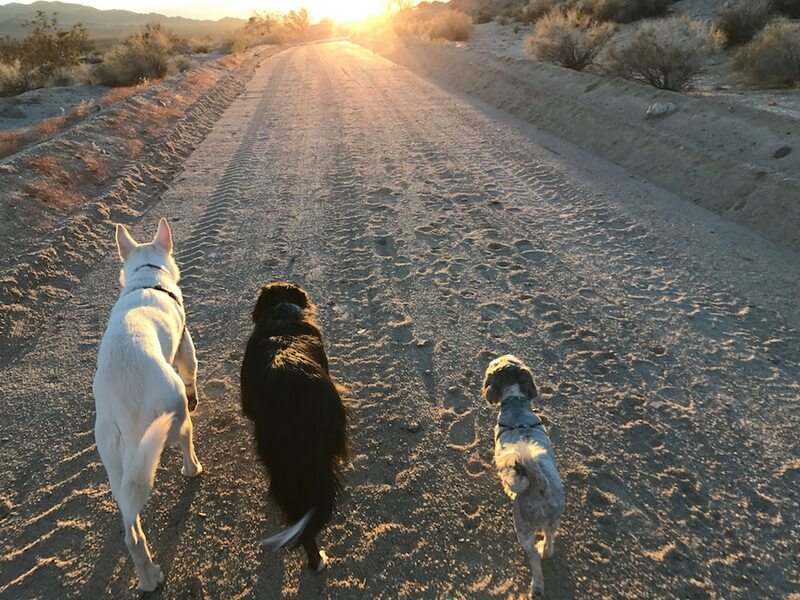 We travel full-time with three dogs, and have found that RVing with dogs isn’t too different from living in a house with them. You’ve still got the basics: plenty of exercise, climate control, and keeping up with training and socialization. That said, the best thing you can do on the road is to establish a daily routine and ensure that the RV feels as much like home as possible. Bring along their bed, favorite toys, and treats. Most dogs love to explore new places with you and make excellent adventure companions! Follow Luna, Archie, Maxwell, Brendan, and Sam at @lifeamongpines on Instagram. Looking for pet gear? We’ve got you covered. 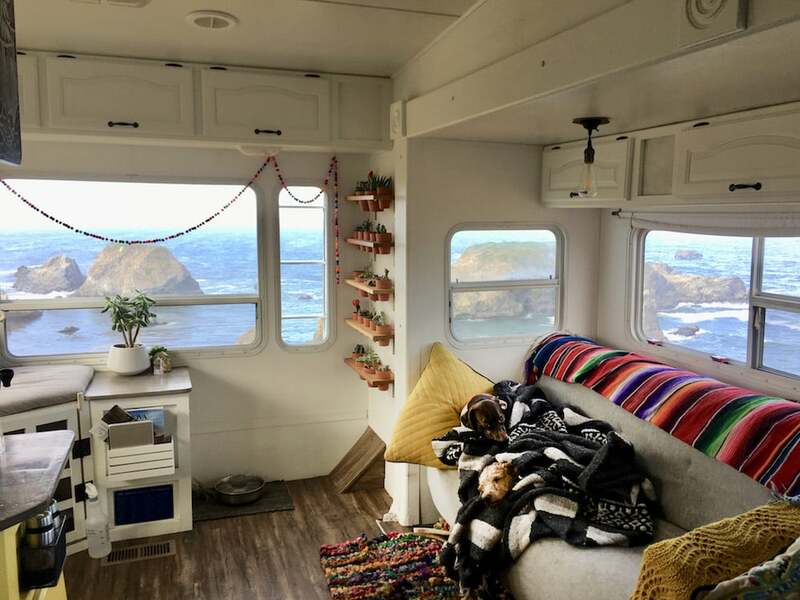 What are some of your favorite tips for RVing with dogs? Let us know in the comments! I keep several documents in separate envelopes in my glovebox. It occurred to me I may be unconscious and people may try to help me or my dog. 2. My dog’s doctor, Meds and Proof of immunizations. Also her chip # and where to call for the info on her chip. A promissory letter of payment to any vet that helps my dog. 5. I have extra keys to the trailer in there. 6. I have an extra key to my car hidden outside of it. That is so smart. We always keep a copy of our dogs immunization shots in our RV . There are some camp grounds that require it.